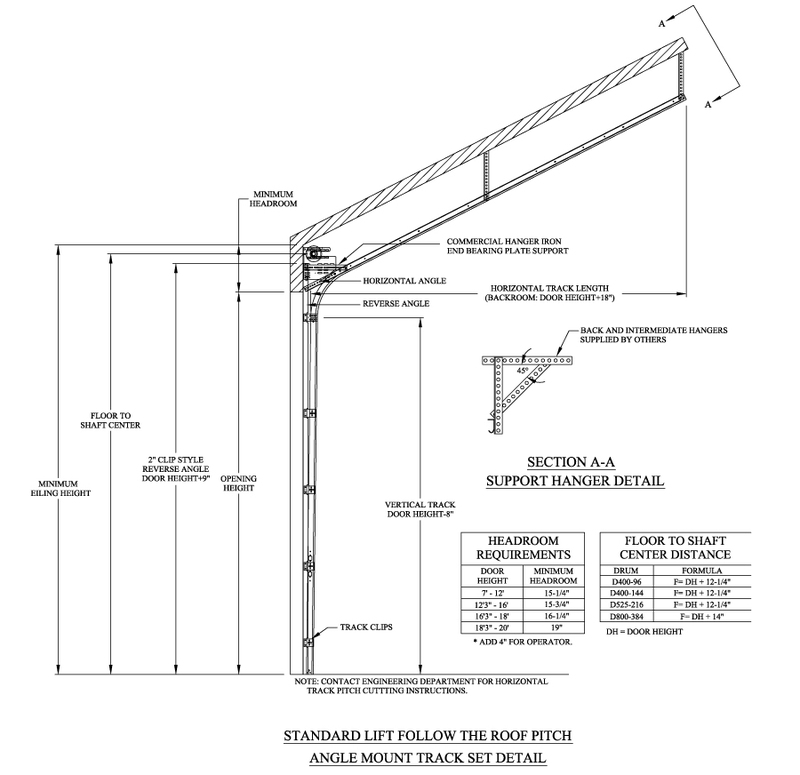 A Standard Lift is the most universal option, it is used in standard garage door applications. 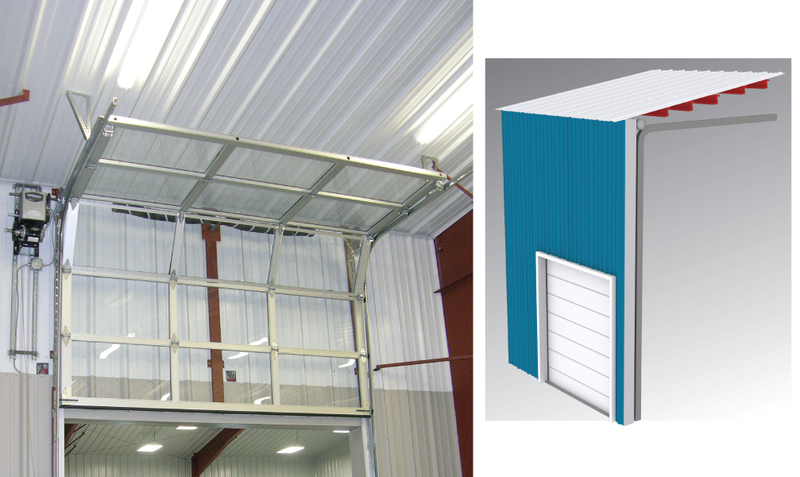 Typically, Standard Headroom is measured at anywhere between 15” – 36” of room located above the door opening up to the ceiling. 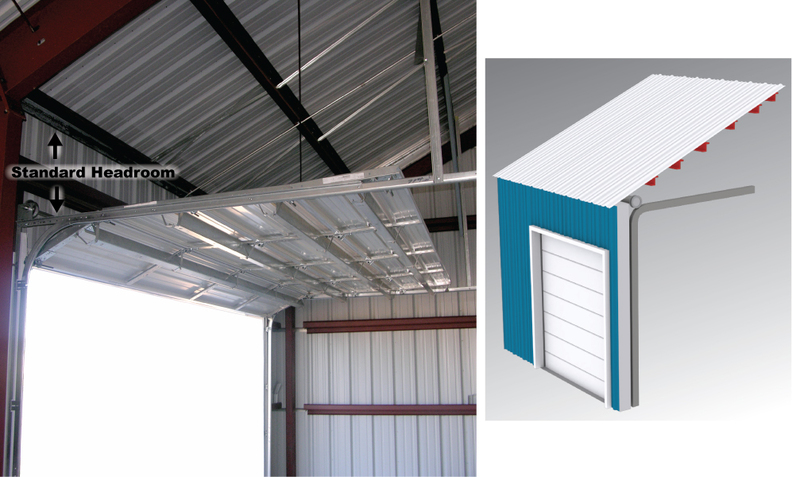 The Follow the Roof Pitch option is often used on steel buildings that have a 3:12 roof pitch or higher. 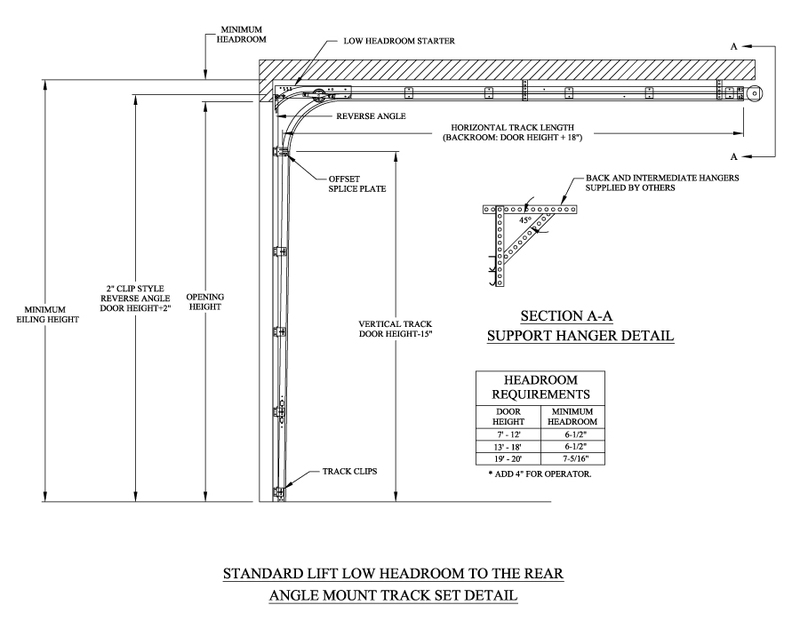 Modifications to the standard lift track design have been made to follow the roof pitch line to provide additional clearance room. 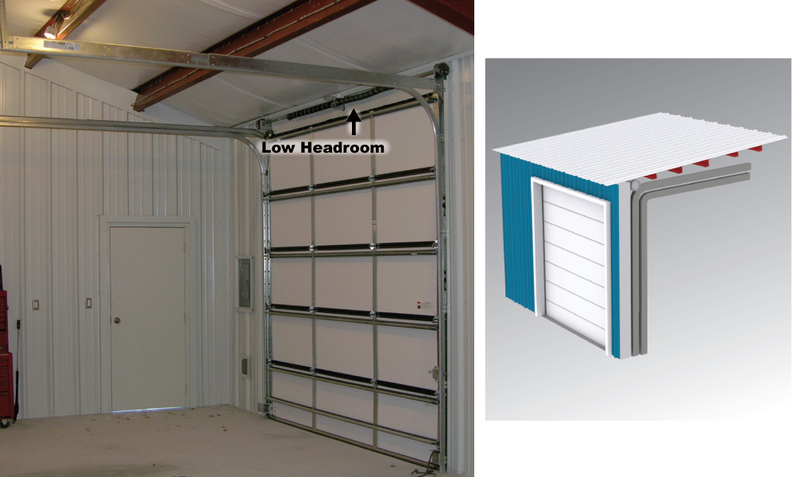 A Low Headroom Lift is the best choice when you have less than the standard amount of headroom. 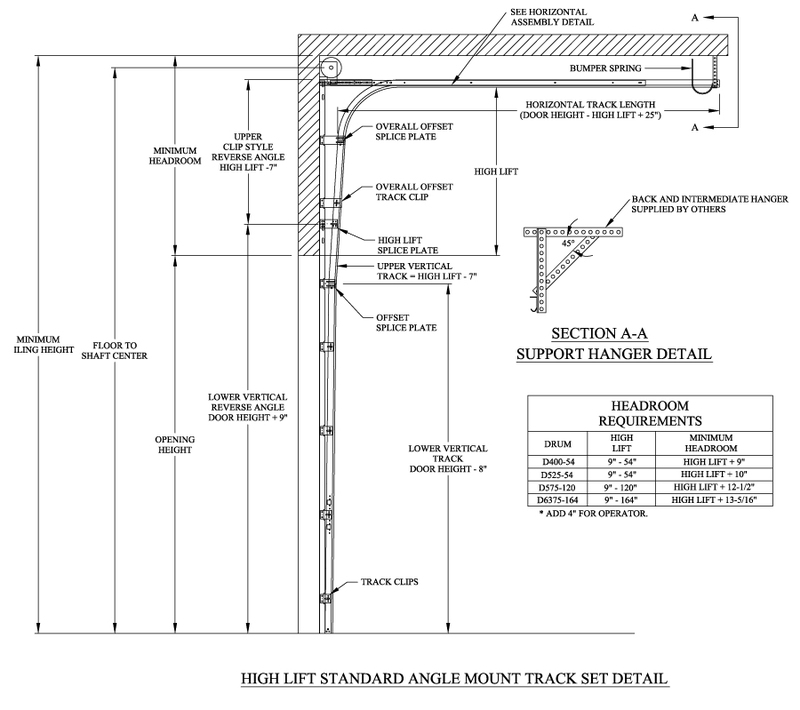 If your ceiling height is less than 15” above the door opening you will need a lower door lift that is made to accommodate the track. This option is also used when installing a door that needs to be the almost the same height as the building. A High Door Lift is recommended when the ceiling height is greater than 36” above the door opening. 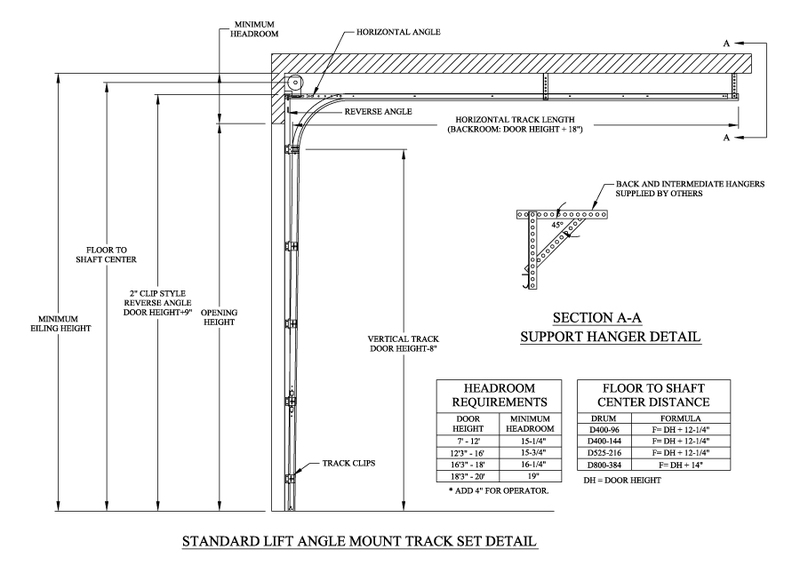 The High Lift was designed to allow for additional clearance under the track.